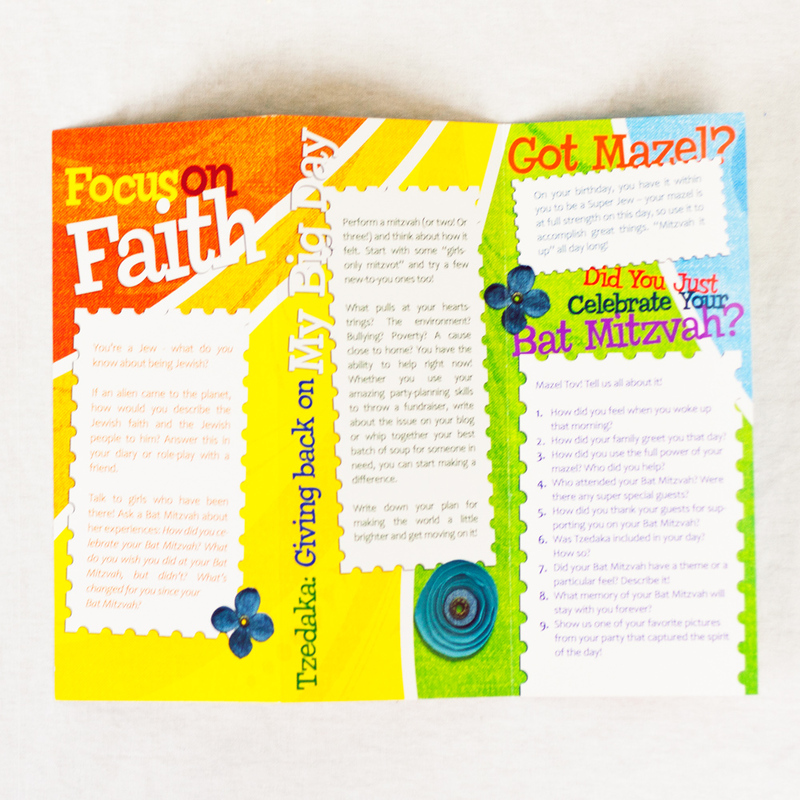 Marissa Moss – famed author & illustrator of the popular Amelia’s Notebook series – teamed up with BMC to expand your members’ thoughts about making their Bat Mitzvah a meaningful Jewish celebration! 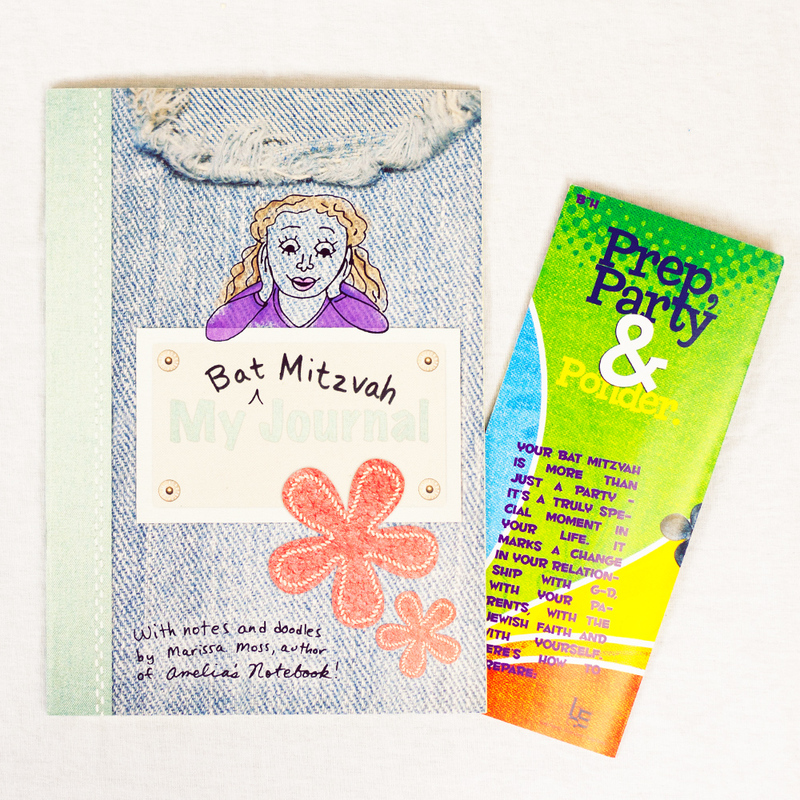 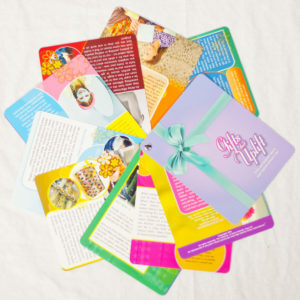 Leah, the journal’s owner, pasted in the Prep, Party & Ponder Brochure and likes to doodle and dream about her Bat Mitzvah Girls will be encouraged to think about the day of their Bat Mitzvah and all the planning that goes into making it a special celebration. 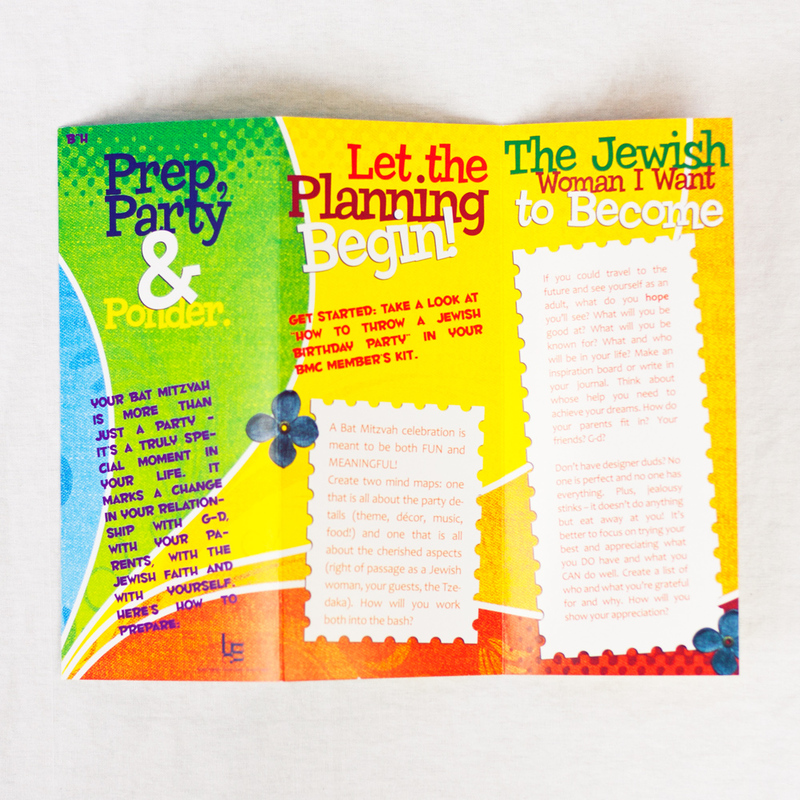 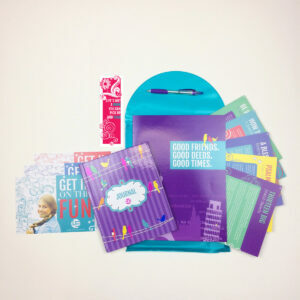 Your girls can write in the journal along-side the brochure and Leah’s own doodles and planning notes, and discover ways to not only make their party fun and exciting, but also meaningful and aligned with Jewish values.